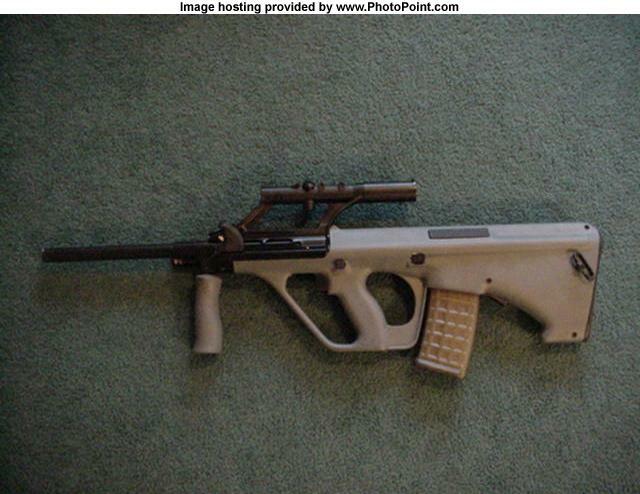 The Steyr USR is in reality an Steyr AUG A2 which is modified to BATF regulations definition of a sporting firearm. 1. What differences are there between an AUG and a USR? 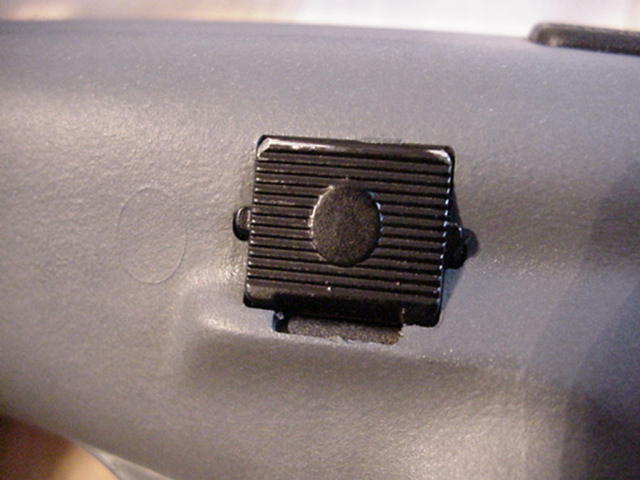 - A2 style optics and optics housing (removable optics that allow for use of the picatinny rail). - A2 cocking handle that folds and does not wear out the finish on the receiver. 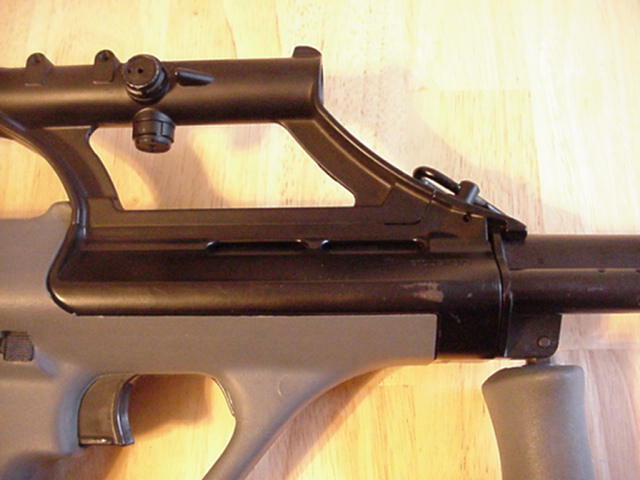 - Parts fully interchange with the AUG, and it uses the same magazines and accessories. - 20" ADI made heavy barrel with target crown. - Basically a post-ban A2 for less than half the cost. - Updated roller bolt carrier and updated firing pin system. 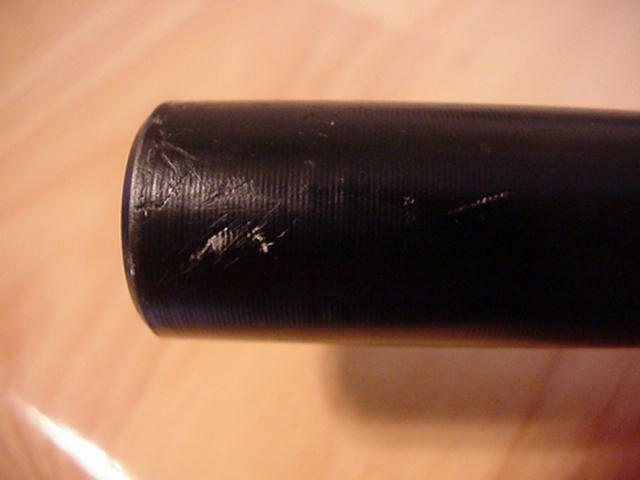 - Barrel is not threaded for flash suppressors or bayonet lugs. - Use of AUG barrels requires modifications to the barrel to be in compliance with BATF regulations (9mm barrel also requires removal of threads). - USR thumbhole stocks must be used to be in compliance with BATF. So there you have it. Whether or not a USR is for you is a decision only you can make based on how important certain attributes are to you. At the very least, if you choose to start with a USR, rest assured that there is a large market for these guns. The accessories you acquire can also be used with other AUG's should you choose to get an AUG later. If you decide the USR/AUG family is not for, or decide to replace it with a pre-ban AUG, it will still sell for nearly what you paid for it, if not more depending on the circumstances. Being less expensive, it will probably be easier to find a buyer for one as well. If you are C3 type of person, the USR is an inexpensive platform for use with your registered hammer pack so that you don't burn up a matching numbers pre-ban AUG should you decide to have a little C3 fun. In 1997, Steyr discovering the resurgence in the sales of lightweight Sporting Firearms set about manufacturing the Steyr USR - (Universal Sporting Rifle). Many of the barrels were made in Australia while the rest of the firearm was manufactured in Austria. However there is more to the story - there is folk lore behind the importation of the Steyr USR!!!! 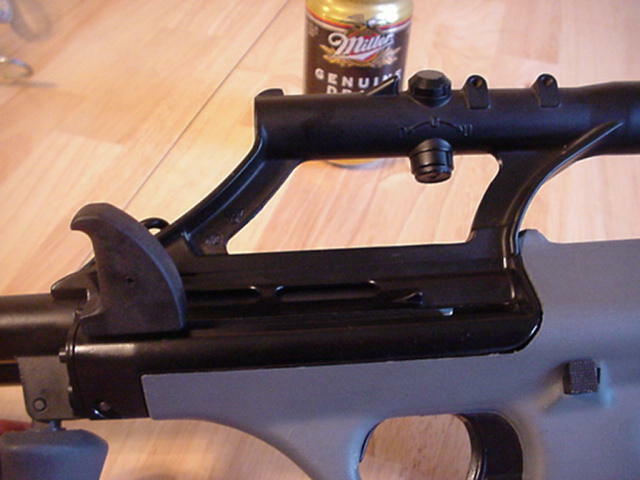 The genesis of the Steyr USR (Universal Sporting Rifle) was in 1997. In 1989 the Steyr AUG was banned from further importation into the United States under the Assault Weapon Ban. In this ban 30-40 firearms were identified for their "military features" and "criminal background." Thus firearms such as a the infamous Mac -10 and street sweeper were named Assault Weapons. Included on this list was the Steyr AUG. Even though only one been traced to a crime between 1980 to 1990 it was named an illegal assault weapon barring future importation. Thus almost a decade later the Steyr AUG was to return to America in a different form. In 1996-1997 firearms manufacturers throughout the world rediscovered the American firearms markets desire for effective light weight sporting rifles. In 1997 lawfully following the 89 AWB EO and the 1994 Crime Bill, Steyr worked with GSI to import a legal variant of the Steyr AUG. The new rifle named the Universal Sporting Rifle began its BATF importation application process. Little did GSI and Steyr know a sinister forces were in act in the White House and the US Congress. Steyr's solution is a simple one: Remove the un-sporting features of the Steyr AUG so that it is in compliance with the 1994 Crime Bill. The battle over sporting firearms began in 1996 with political pressure from the office of Barbara Boxer. Being closely associated with the political anti-gun lobby VPC (Violence Prevention Center) she began to attack the importation of foreign made sporting firearms. It didn't take long for her anti-gun colleague Diane Fenstein to become involved and focus on IMI for their importation of the Israeli made sporting firearms. While Congress was busy at work banning Israeli firearms importation, little did any one know but President Clinton was planning to use an executive order expanding the 1989 AWB and limiting the definition of sporting firearms. Soon any rifle that could accept a detachable magazine of more than 10 rounds would be banned. The question was when to announce and enforce this executive order. As the order was being authored advance word of this greater gun ban was leaked by the BATF to firearms manufacturers. The race was on. Importers raced to get their firearms imported before the announcement. Clinton discovering this, rushed to prepare his executive order and he believed that he had one week to beat the firearms push. During this time 3000 rifles made by Steyr Mannlicher were entering customs, the rifle was named the STEYR USR. In discovering this Bill Clinton jumped from his desk yelling "I was deceived." Fortunately 3000 Steyr USR's made it into the country and civilian hands before the ban. Perhaps the President was deceived. No one can account for the delay.